The Direct PLUS Loan for Parents is a Federal loan available to parents of dependent children to help defray the costs of college tuition. The Federal PLUS loan program acts as a means for parents to contribute to their child's education fund by securing a low interest government guaranteed loan. Parents can borrow money to help pay for a student's education, equal to the total amount needed for tuition and related expenses less any and all other financial aid the student has received. When it comes time to secure funds for college, the Federal Direct PLUS loan program is a way for parents to take some of the pressure off of their children. Am I Eligible for the PLUS Loan? In order to be considered for any Federal Financial aid program, students must fill out and submit the Free Application for Federal Student Aid. The FAFSA is the first step along the path to Federal aid, and without it you will not be eligible for any government financial aid. Applicants for the PLUS loan must be biological or adoptive parents. Under some circumstances a step-parent may be considered eligible. Applicants for a Direct PLUS Loan will have to demonstrate a history of good credit. Parents applying for a PLUS loan must not have filed for bankruptcy; must not have been more than 90 days late on any bill payments; and must not have defaulted on any prior government loans. Students applying for Federal aid must be enrolled at least half-time at an accredited college or university. They must maintain this level of enrollment throughout their college career. Students applying for a PLUS loan must attend a participating college or university. The Federal government partners with a number of schools across the country, so check with your college of choice to ensure they are a participating member or the PLUS program. All applicants for a PLUS loan must be U.S. Citizens or eligible non-citizen. What Are the Benefits of the PLUS Loan Program? There is no need for collateral to be eligible for a Federal Direct PLUS Loan. The interest rate is always fixed and is currently at 7.9%. Parents can borrow the total cost of their child's education, less any other financial aid received. 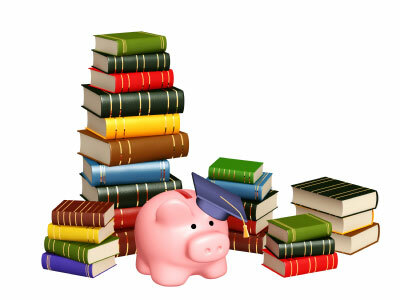 PLUS loans do not require any repayment to be made until after the student has graduated or left school. The Federal Direct Loan program is a safe and reliable option for parents looking to help finance their dependent child's college career. These loans offer fixed low interest rates and attractive repayment terms that no private lender will be likely to match. A Direct Federal PLUS loan, in conjunction with scholarship money and Federal grant awards, can make college an affordable reality for all students.